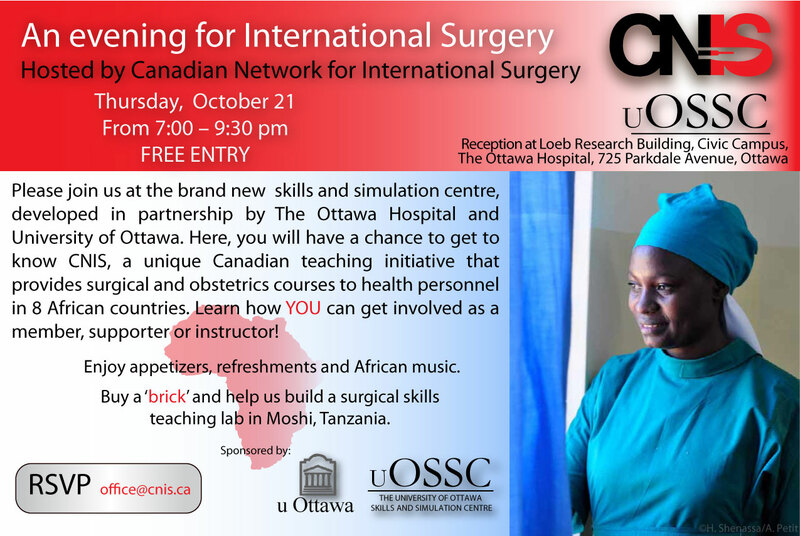 CNIS and uOSSC invite people in the Ottawa area interested in supporting our work to An Evening for International Surgery. Date and Time: October 21, 2010 from 7 pm – 9.30 pm. This is CNIS’ first public event in the capital. Enjoy wine, appetizers and African music, while learning about our unique teaching initiative. 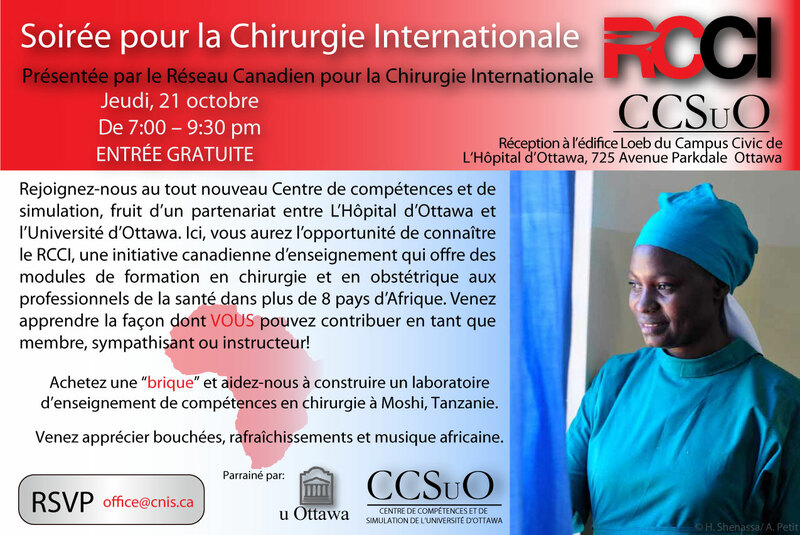 There will be presentations by Dr Ronald Lett, CNIS international director, and the volunteer Ottawa surgeons who teach our courses in Tanzania. Entry is free, though you will have a chance to support CNIS’ work, for instance through purchasing a ‘brick’ and helping us build a surgical skills teaching lab in Moshi, Tanzania.